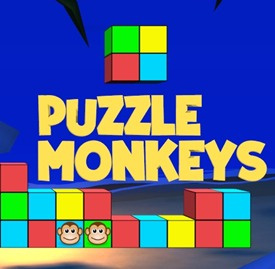 Experience the addictive puzzle gameplay that takes unique advantage of the Wii U GamePad! 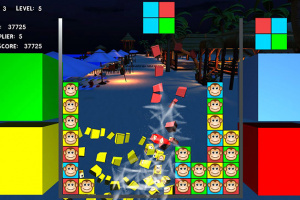 Use the Wii U GamePad's buttons and touchscreen to manipulate and destroy falling colored blocks. 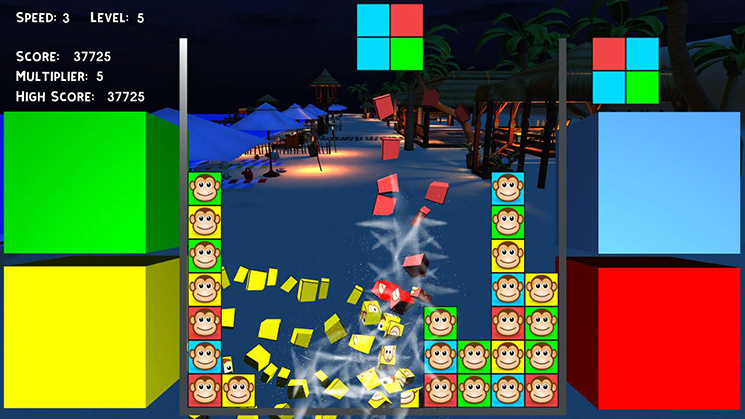 Align 3 or more blocks of the same color to destroy them and initiate high scoring chains of destruction. 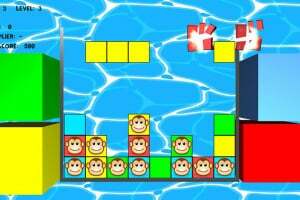 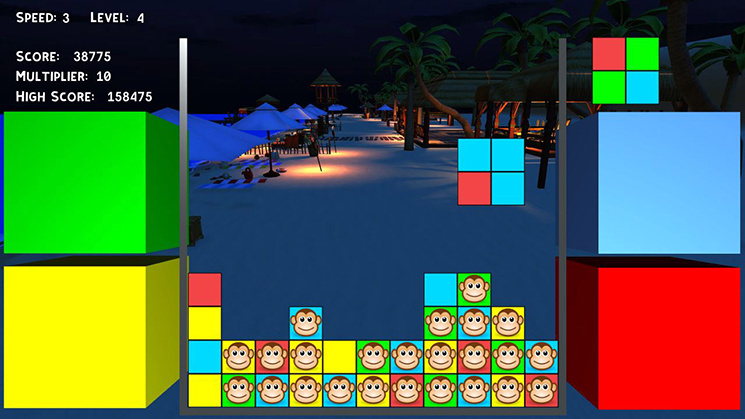 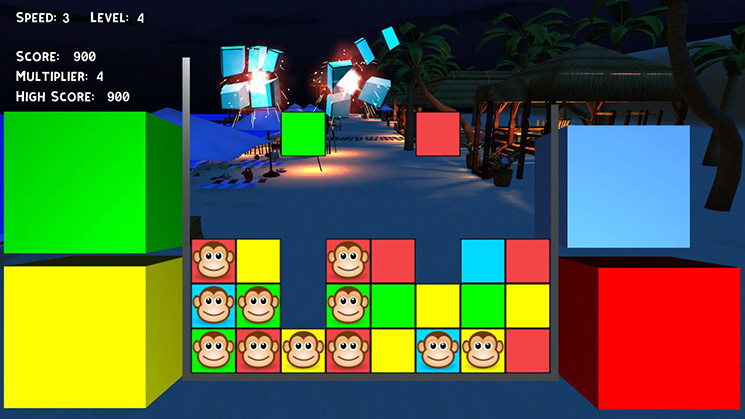 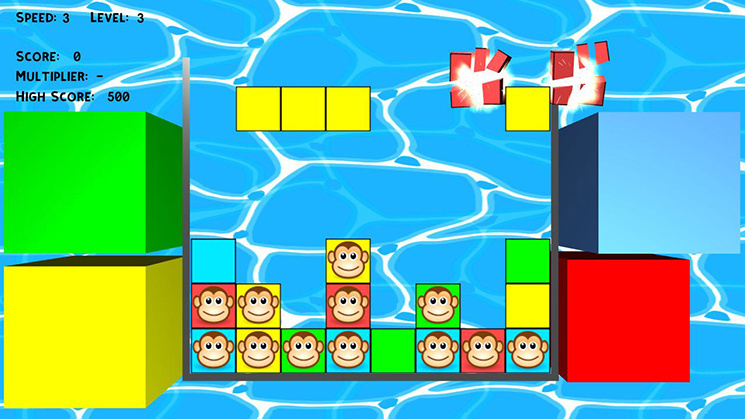 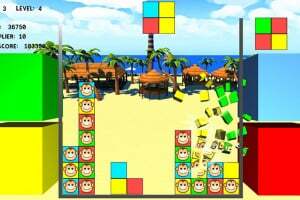 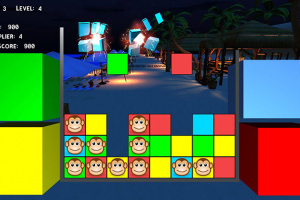 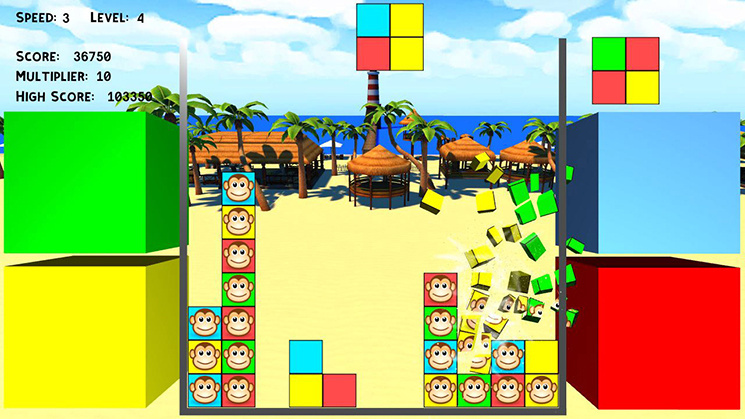 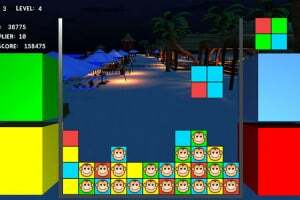 Destroy all of the monkey blocks to advance to the the next level. 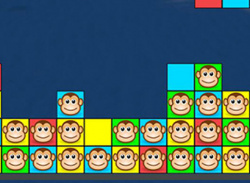 Online leaderboards to see where you rank among the worlds best scores!